Freedom of press vs scientific responsibility – Politics, Perception, Philosophy. And Physics. How can the mainstream media balance the arguments surrounding emotionally charged scientific issues between real experts and powerful layman advocates? 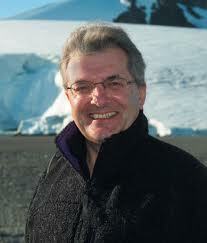 Professor Chris Rapley is a scientist who has devoted his career to studying earth sciences and climate. He has been executive director of the International Geosphere-Biosphere, director of the British Antarctic Survey, director of the Science Museum and is currently working on Climate Science at UCL in London. 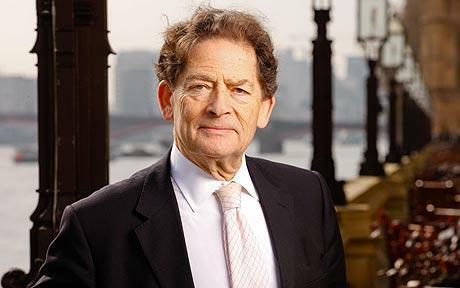 Lord Nigel Lawson has a degree in PPE from Oxford, and a long, successful political career. He does not, however, have any background in climate science whatsoever. He is also renowned for being a climate change sceptic, saying climate scientists are “alarmist” and “scaremongering”. The video in the link below shows the two men in a short clip from an episode of the BBC’s Newsnight, debating climate change. Lawson and Rapley were each given equal air time and appear to be given equal credibility too. This seems to be a common occurrence in the media. Every day on breakfast television and popular news shows, experts in their field are pitted against opinionated members of the public to discuss emotive scientific current affairs (e.g. climate change, vaccination, nuclear power). 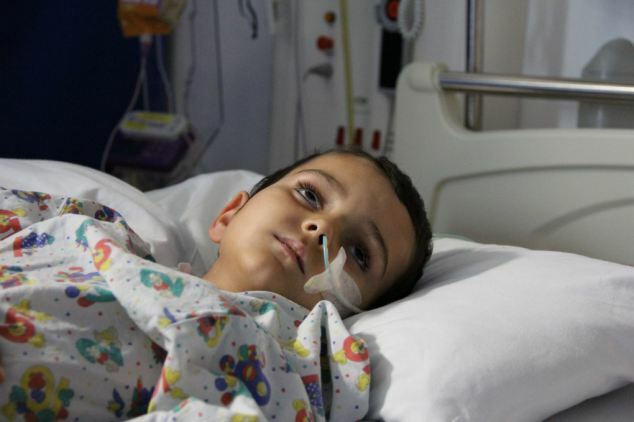 A recent example of this is the media debate over Ashya King, the child with brain cancer whose parents removed him from hospital in an attempt to get a new form of treatment, Proton Beam Therapy, over conventional radiotherapy. I don’t want to pass judgement as to whether Mr and Mrs King were in the right or the wrong, but I do want to examine how the story was dealt with. The media leapt on the story and newspapers and television were flooded with opinion pieces from people who knew very little about the science behind either of these treatments stating their views one way or the other even though the oncologists working with the child had publicly stated that they did not believe that Ashya would significantly benefit from Proton therapy. Freedom of press is a very important value in this country. However, what are the moral implications in giving sceptics the platform with which to spread unfounded beliefs over the evidence provided by real experts? Is it fair, and is it responsible, to give a layman advocate with strong opinions but little to back them up equal credence as a man who has devoted most of his life to researching and working on the issue at hand? Many people including those in positions of power such as governmental or industrial figureheads form opinions based on how issues are portrayed in the media, so these activists, broadcasting their views with little scientific back up can actually affect how our country is run. We cannot simply ban these people from airing their views, every argument has two sides and people must be allowed to display opposing views. But surely there has to be some balance in allowing debates to be had, and arguments to be made, but still giving weight to those people who can truly be called “experts”. So, Nigel Lawson was allowed to speak on Newsnight in 2008, and 6 years later you are whining about it? I wonder if you have read his book? I doubt it. If you had, you would know that he largely accepts the scientific aspects of climate change and is concerned with the economic aspects, on which he is an expert. It is not true that sceptics are allowed on TV “Every day”. Lawson had 2 minutes on the BBC Today programme back in February, resulting in a hysterical outcry, and I don’t think he’s been heard since. Meanwhile Rapley, who seems to have a very patchy publication record (nothing between 2007 and 2012 according to his web page) is appearing in a one-man play at the Royal Court; one reviewer writes “it’s probably the worst play ever seen on that hallowed stage”. He also recently produced a highly opinionated report on climate communication, which was much criticised by climate scientists. Paul, you are correct, I have not read Lawson’s book. This post was written as a very small part of a module that makes up a fraction of the assessment of this year at university. It is a module designed to prompt thought and discussion about the politics, perception and philosophy of physics, including how it is represented in the media, and what effect this might have on scientific practice. The assignment was to write an opinion piece – I am not claiming complete knowledge on the subject, but it is my opinion that the media does need to take more responsibility for misrepresentation of science to the public. Allowing, for example, a mother to sit and chat for ten minutes on “This Morning” about their autistic child’s MMR vaccination (a feature I remember well), for example, is highly irresponsible now we know that the claims of links between the the vaccine and the disorder were entirely spurious. All the comments that you make about this specific example may well be true, however that does not mean that this phenomenon does not occur. I merely chose it to illustrate my point as Lawson’s views are well known and there was a nice video clip to illustrate. Isabel, thanks for clarifying. It’s an interesting but very difficult question!